I considered putting this on the existing Chinese restaurant thread, but decided to make it a separate trip report. I had mentioned on there that my friend and his family were visiting from Pittsburgh for the weekend. 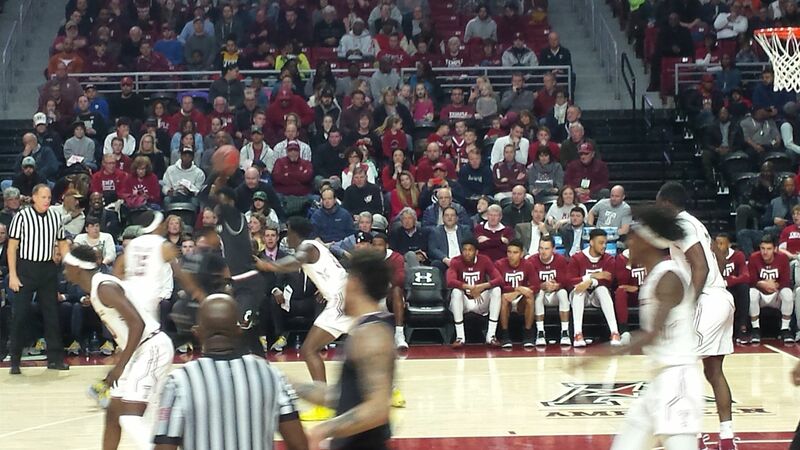 In addition to seeing me, the other reason for their visit was to catch a Temple University basketball game. He and I met at Temple many years ago. His wife is ethnically Chinese, from Taiwan, and we always go for Chinese food when they're here, usually in Chinatown. Before my friends arrived, I had some other business to take care of. 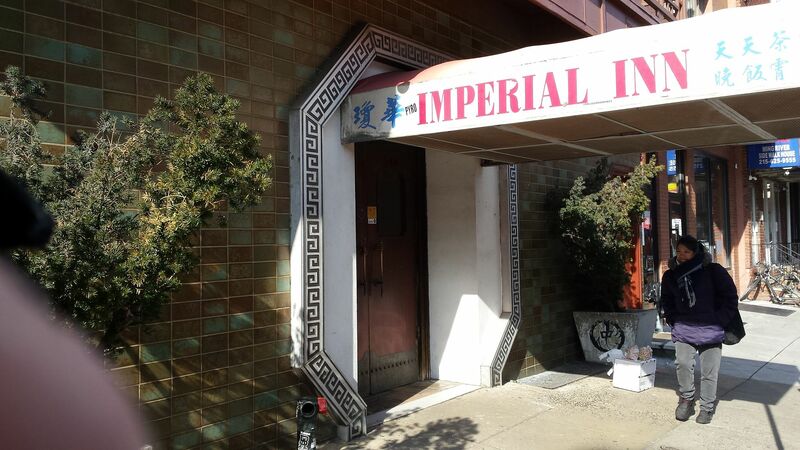 Many of you know the story of my emotional connection to the Imperial Inn in Philly's Chinatown and that I had recently written it off because of how far downhill the food has gone. But they are closing after this weekend and there was no way I was missing a chance to go in there one final time to relive some of the memories in my mind. So my colleague and I placed a takeout lunch order with them Friday and I picked it up. In this next photo, you can see a guy sitting against the far wall and looking in my direction. I hadn't notice him when I was taking photos, but it turned out he is an old friend I hadn't seen since I was in high school who is also an Imperial Inn lover there for one final meal. We have been Facebook friends more recently and shared memories of the place with each other. He figured he might find me there that day and came over to say hi right after I took these photos. The sweet and sour shrimp and egg roll I had were but a shadow of what they were like even a few years ago. I took a photo of the food, but I'm not posting it. I would rather live with the memory of their sweet and sour shrimp when it was good, and it was REALLY good; maybe the best I've ever had of that dish, an all-time favorite of mine. I did get a couple souvenirs: a little plastic container of hot mustard that is now in my freezer for long-term keeping and a takeout menu. 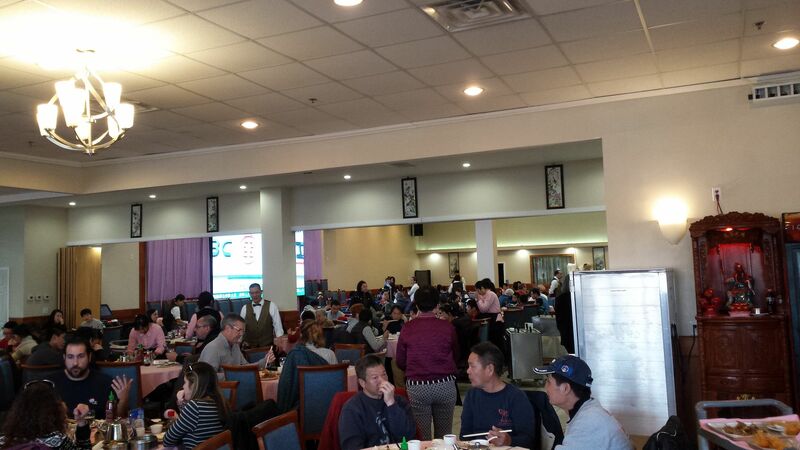 The following day, Saturday, my wife and I drove to Northeast Philadelphia to meet our friends at the large dim sum place I mentioned on the other thread. I forgot to photograph the outside, but it's pretty non-descript. 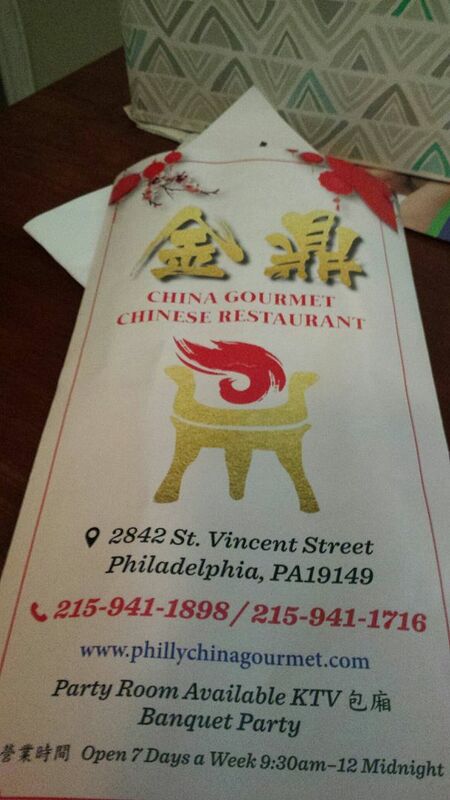 As I mentioned on the other thread, the restaurant critic at the paper where I work now considers this to be the best Chinese restaurant in Philadelphia. 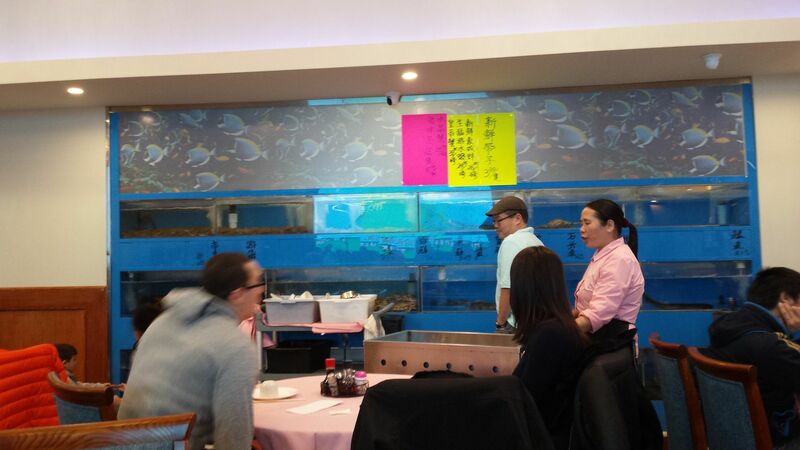 The inside is large and fairly nice for a Chinese restaurant. 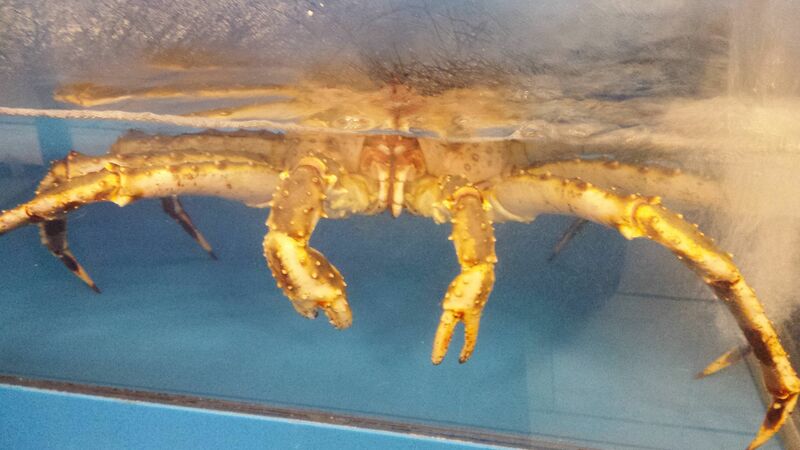 Those tanks contained fish, lobsters and several varieties of crabs. As expected, there was a nice array of food on the carts that frequently came by our table. 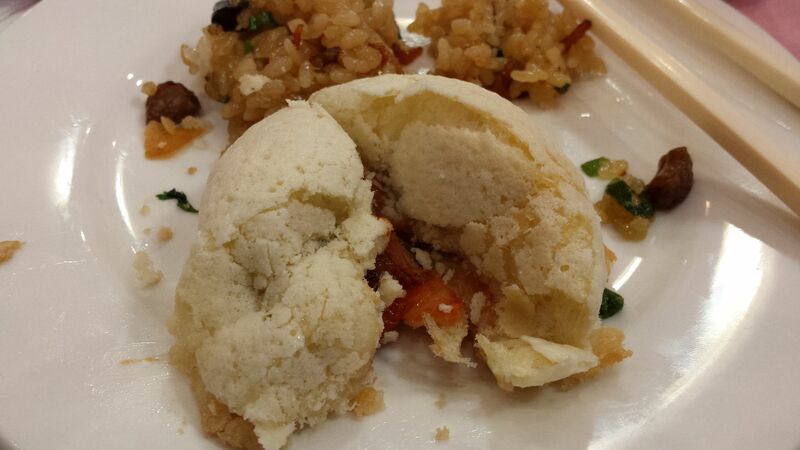 They kept trying to get us to take an order of their pork buns, as they are their specialty. 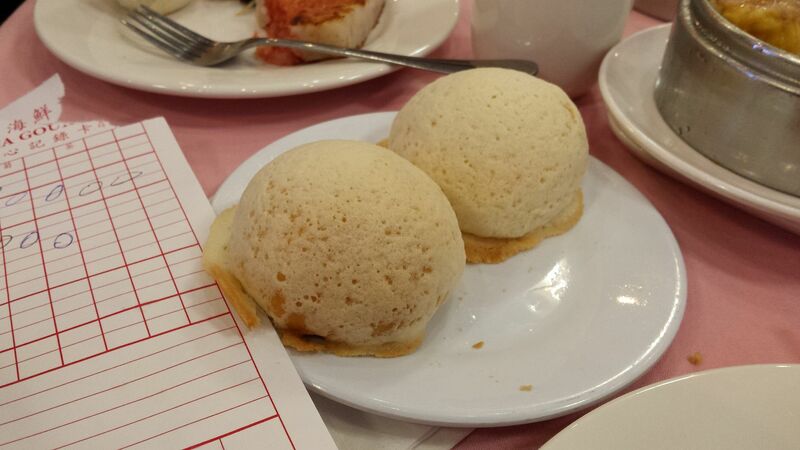 I initially resisted because they looked like the steamed pork buns that I'm not nuts about. However, looks were deceiving, as we were told they are, in fact, baked, and we took an order. The food was all very good. My only disappointment was that I didn't see my favorite dim sum item: a type of barbecued pork pie in puff pastry with sesame seeds on top. I saw it on their web site, but they must have either been out of them by the time we arrived or not had them that day. 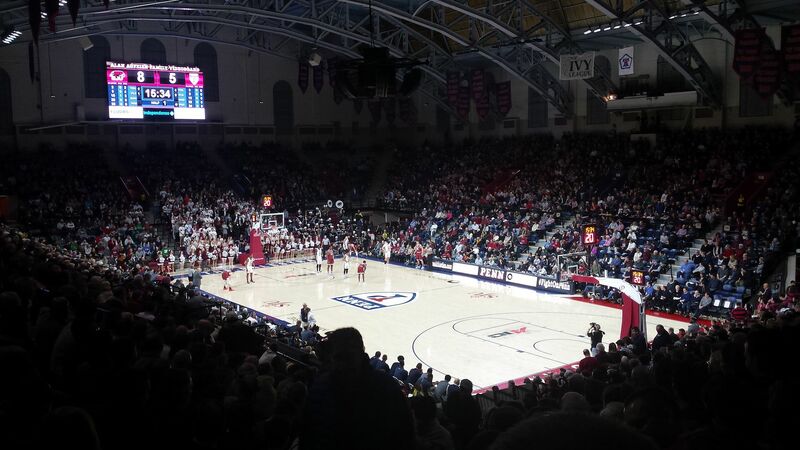 That evening, my friend, his son and I took in the Penn-St. Joseph's game at the Palestra on Penn's campus. This is unquestionably one of the great arenas in the country. It's nearly a century old. 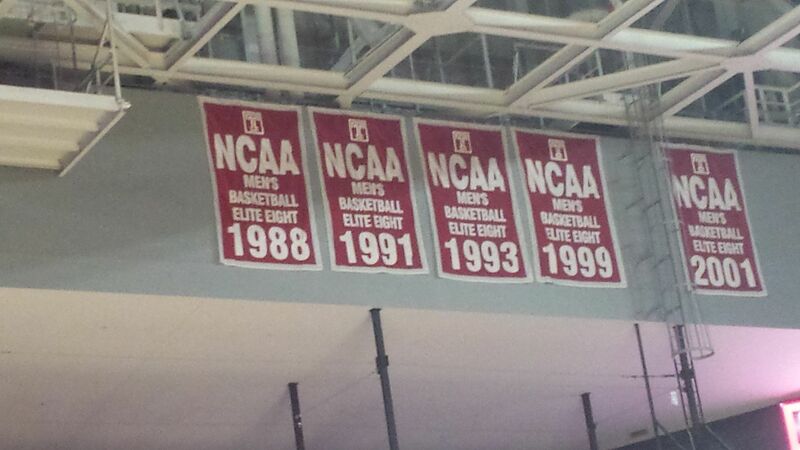 Only the arena at Butler is comparable in terms of history and tradition when it comes to college basketball. Penn won its first Big Five title in many years with a win Saturday (the Big Five is a longtime Philadelphia college basketball tradition … it's an unofficial conference: Temple, Penn, St. Joseph's, Villanova and La Salle). After the game, we wanted a late-night meal, and naturally, we went to Chinatown for more Chinese. My initial inclination was, Yes, to go back to the Imperial Inn for yet one more "final meal." But while there were a decent number of people in there, they had stopped seating additional customers by the time we got there, around 10-10:30 (they used to stay open until the wee hours of the morning). So we went to a place about half block north of there called David's Mai Lai Wah. In the article I posted on the other thread about the closing of the Imperial Inn, it called the I.I. 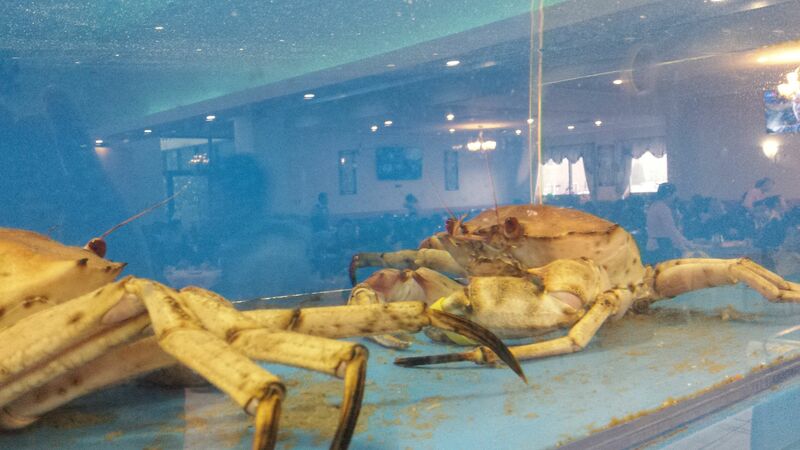 "arguably the oldest restaurant in Chinatown." 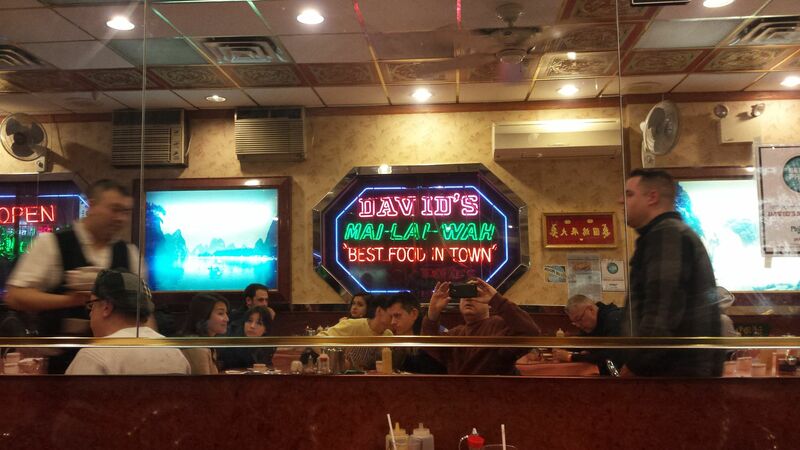 I'm not certain, but David's Mai Lai Wah may be the other contender for that title. I remember walking past it regularly when I was a kid during the 70s. I'm not sure why I have eaten there so infrequently over the years. This may have only been my third or fourth meal there and the first one in very many years. I remember when I was a kid I was turned off by the notion of a Chinese restaurant called, "David's." Part of the problem in more recent years has been that it is not open for lunch. They open around 4 p.m. and stay open until something like 3 a.m. or 4 a.m. 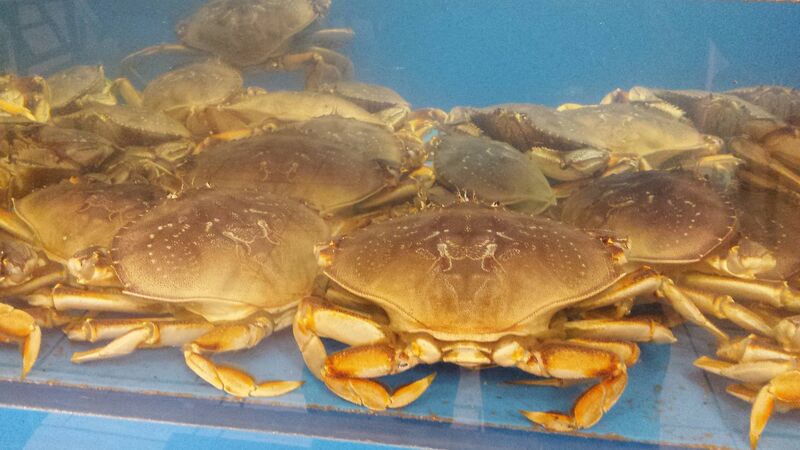 They are known to be a favorite of local chefs who want to be served a meal when they get off work after midnight. They are also known to do a good job on classic Chinese-American Cantonese, but their menu is a bit more varied than the Imperial Inn's. After last night's experience, I think I should make more of an effort to go there at least periodically. The initial impression wasn't that great. I was reminded a bit of a couple different Seinfeld episodes: the ones where they have a long wait for a table at a Chinese restaurant and also the Soup Nazi episode. It's obvious immediately they have their own, time-honored way of doing things, which doesn't include seating people quickly when they enter the restaurant. The line got a lot worse after we were seated. I think if we had gotten there 5-10 minutes later, we may not have stayed. But I'm glad we did. 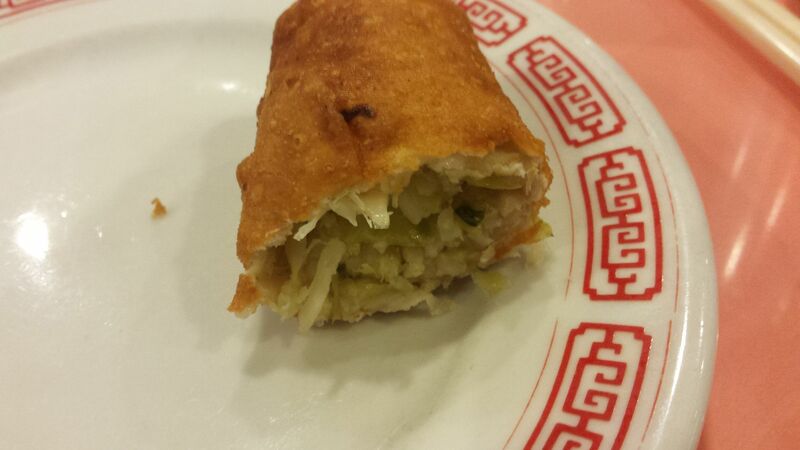 My friend and I split a shrimp egg roll. 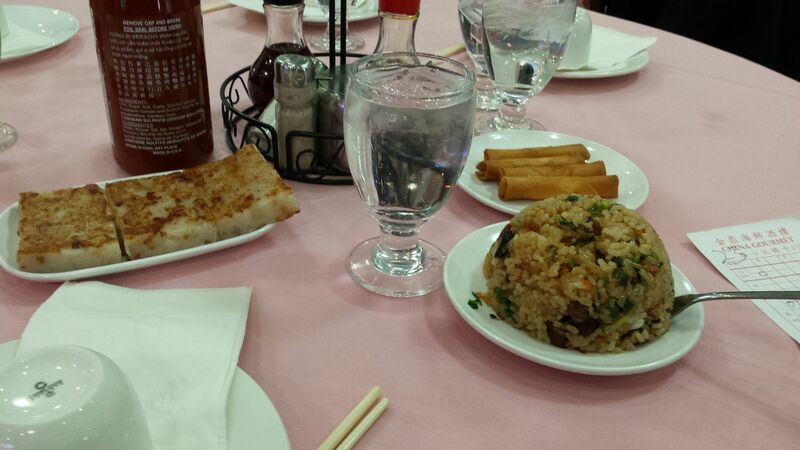 It was good, although not as good as the old Imperial Inn egg rolls, which had barbecued pork in them. The fried pork dumplings were outstanding. 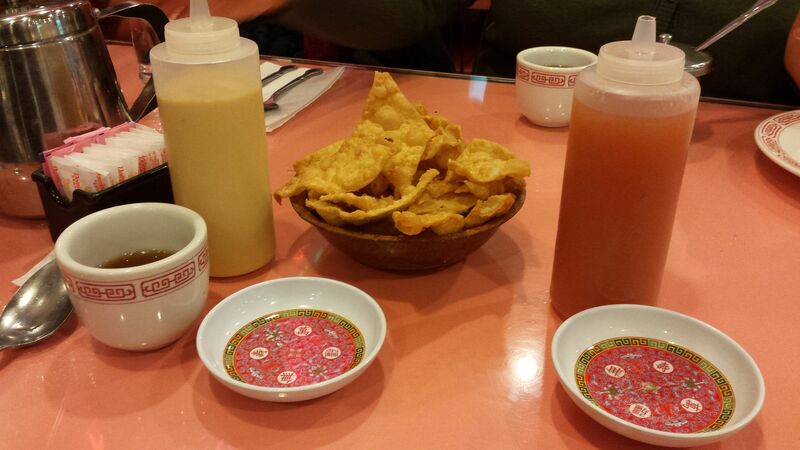 They offered both Chinese-American style Cantonese wonton soup and Hong Kong style wonton soup. My friend and his family enjoyed the latter. 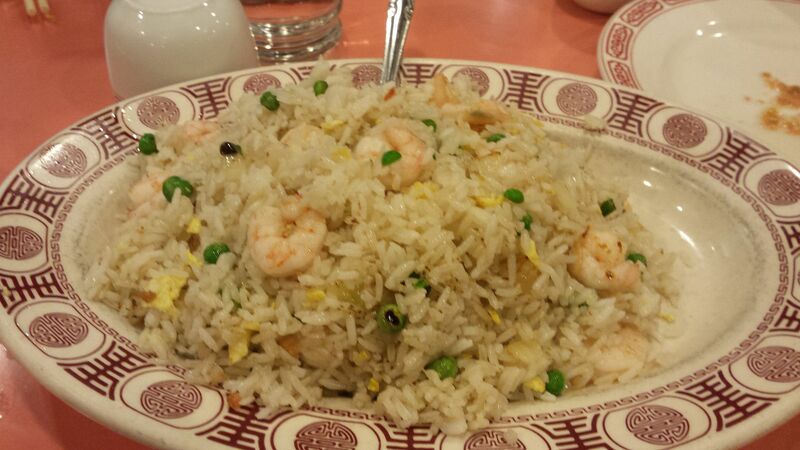 The shrimp-fried rice was nothing special. 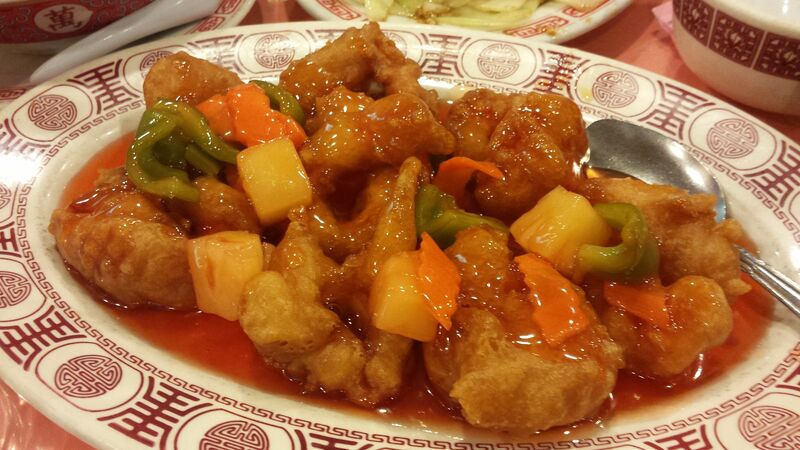 But the sweet and sour shrimp took me back to the way sweet and sour (or pungent) shrimp used to be in the 70s. While I would still say the pre-decline Imperial Inn did it better, this was really good. As was the half a roast duck we shared. I stayed at the hotel where my friends were staying Saturday night so I wouldn't have to keep going back and forth between the suburbs and town. When I went back to my room after the meal at David's, I saw this a couple doors down. There is a lot of good pizza in Center City. I guess they weren't aware. The hotel was less than a block from the Reading Terminal Market. 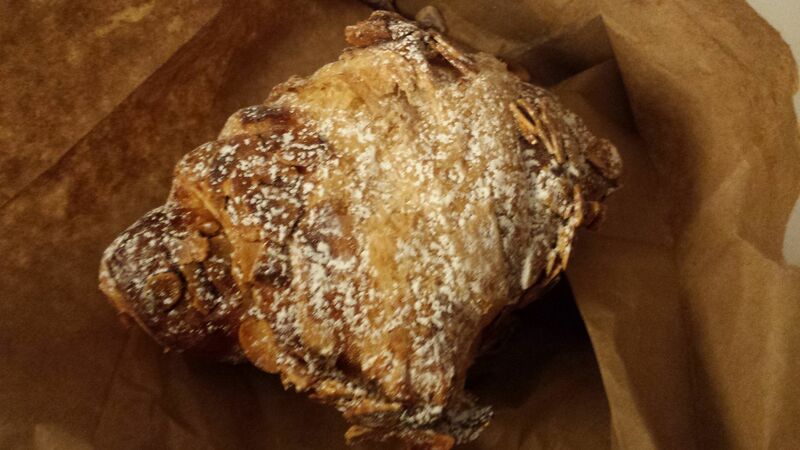 I ran in there this morning and grabbed a very good almond croissant from the Metropolitan Bakery stand for breakfast. We finished the weekend with another basketball game, this one between Temple and Cincinnati, on Temple's campus. They played a good first half, but were outplayed by Cincinnati in the second half and lost. I went to every game during the '87-'88 season. Temple was ranked number One much of the season, but lost to Duke in the regional final. 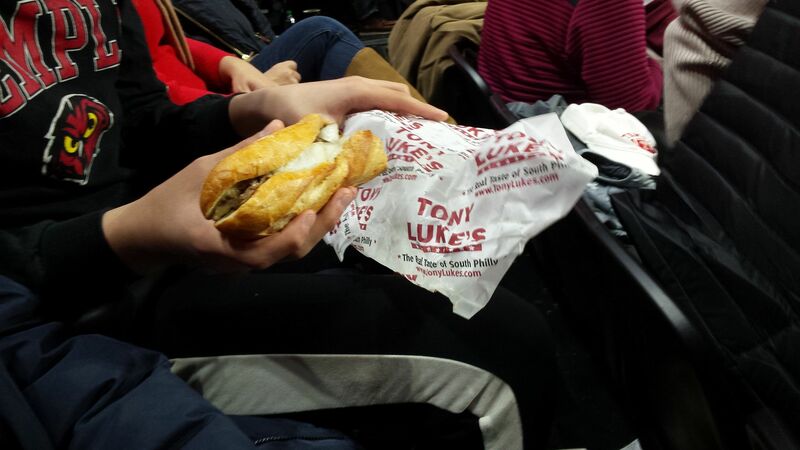 Tony Luke's has a stand at the arena and my friend's son enjoyed a cheesesteak during the game. It was an extremely enjoyable weekend. My friend and his family are going to Memphis for the conference tournament in March. They've asked me to go. I'm not sure I can swing it, but I'm going to investigate the possibility. If I can go, I'm going to be a lot more interested in the local food than the basketball tournament. 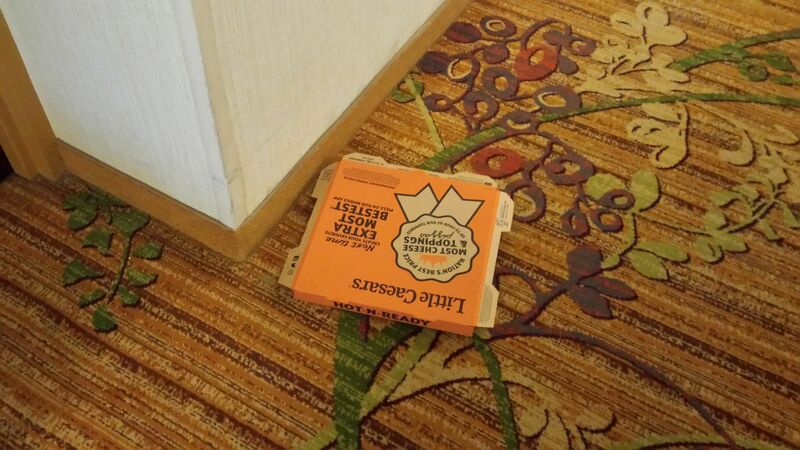 Those people that had the Little Caesar's must've been from out of town. China Gourmet looks like a pretty nice place. How do the carts work? Do they add a la carte items to an existing meal ticket, or is it kind of like a reverse buffet? The fried dumplings at David's look like they had a lot of flavor. I'm spending a long weekend with friends and we might get Chinese takeout later, but I doubt it'll be as varied and interesting as what you've had this weekend. I'm sure you're right about the Little Caesar's people. It just struck me as funny. Philly isn't up there with New Haven or New York, but it's a good pizza city. As far as China Gourmet goes, every table has a card that is like a check/bill on it and every time you ask for something from one of the carts, the person wheeling that cart makes a mark on your card. I never have any idea what it means and am usually pleasantly surprised when I get the final total up front. 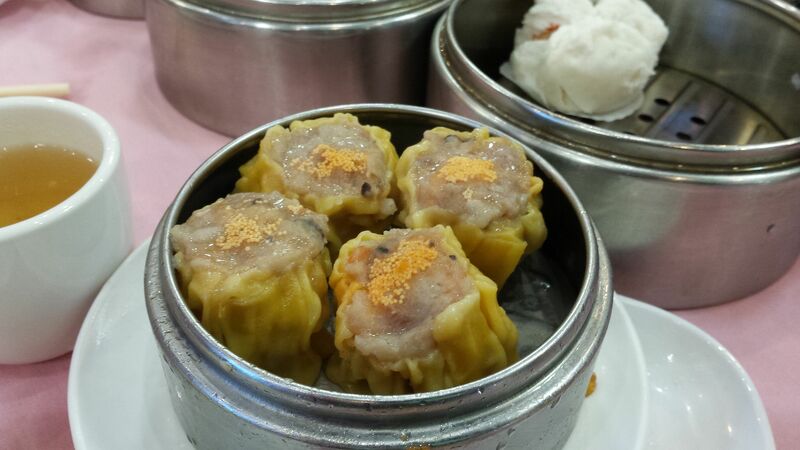 Dim sum is cheap. With tip, that meal was no more than $15 per person. I love a sentimentalist! Had I known the last day or days of a favorite place were coming I know I'd be there. Love the story about meeting your high school friend there. What fun! Your dishes look wonderful. 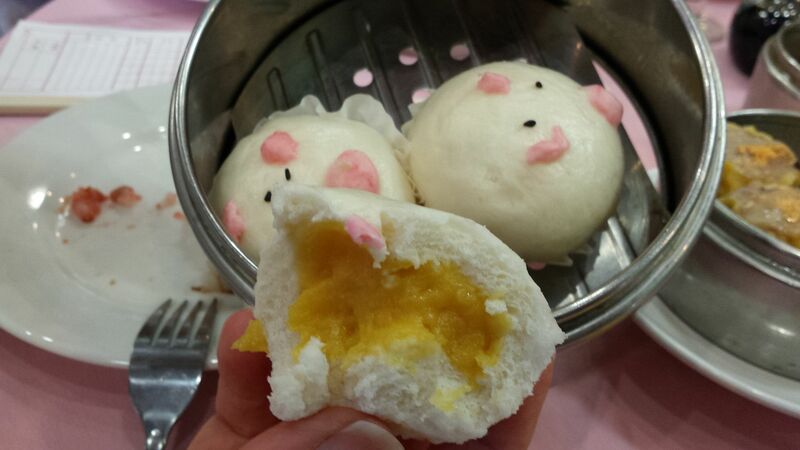 I still want to go to a proper dim sum restaurant. Can't do one justice or at all by myself. They had this small, rectangular bread with spices and oil that was cut up into a lot of tiny pieces that was so simple and... delicious! I'd go there just for that. The relative dipped theirs in what I guess was marinara or pizza sauce but it was perfect without any. Is your croissant almond? I'll take one, please. I did get Little Caesar's a couple times when I was a teen because of how inexpensive it was. Yep. Almond croissant. I've loved those for years. 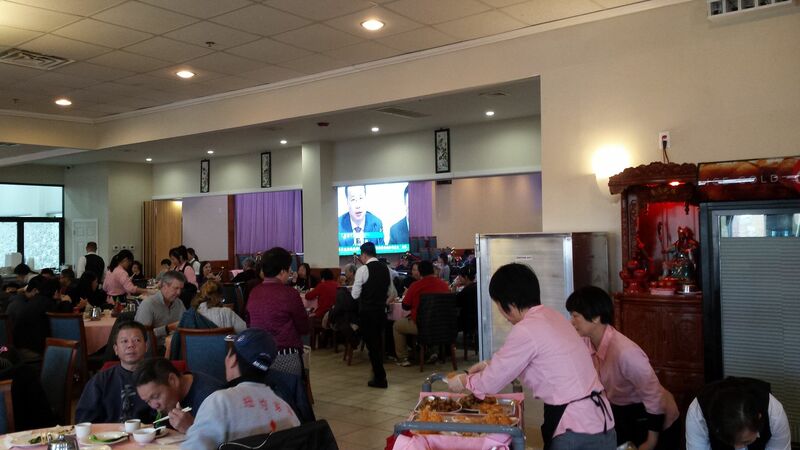 And I agree on dim sum being better with more people. We used to go with these same friends for dim sum at a place in Chinatown, but they were closed temporarily by the health department and made a large number of people sick at a party they hosted in their banquet room. 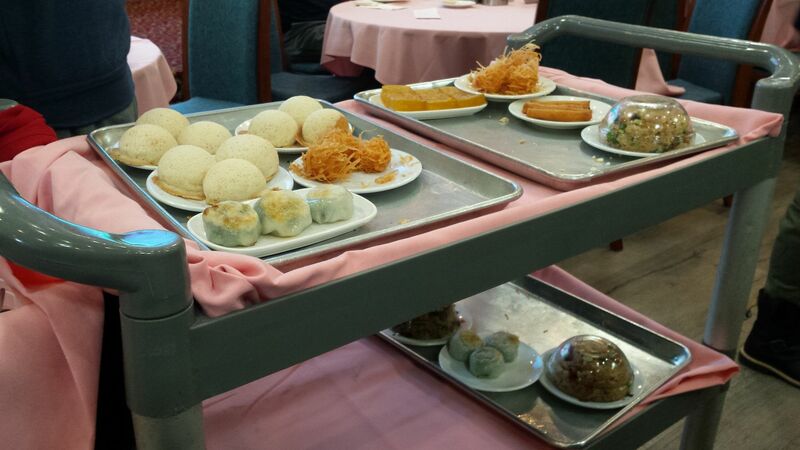 The Imperial Inn also served dim sum every day at lunch time, but I thought their dim sum was only so-so. I generally ordered off the menu if I was dining in at lunch time. 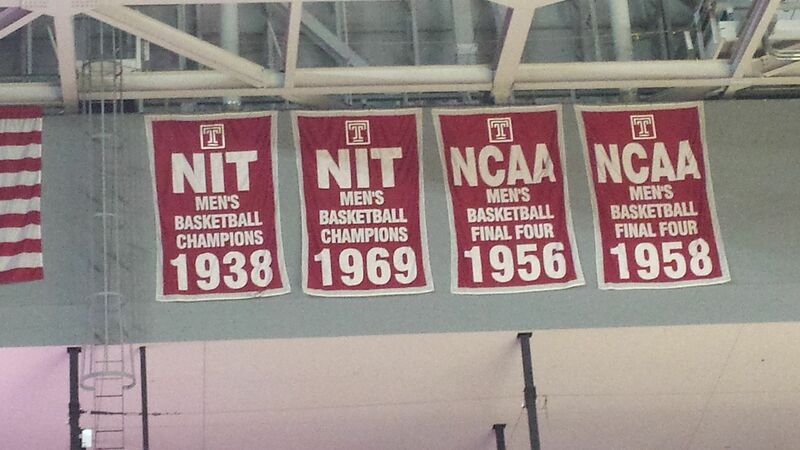 The House that Wilt built to your list. I'm fine with that. I'm sure at least a couple of the Big Five schools were not thrilled that he left home for college. The wontons are different. 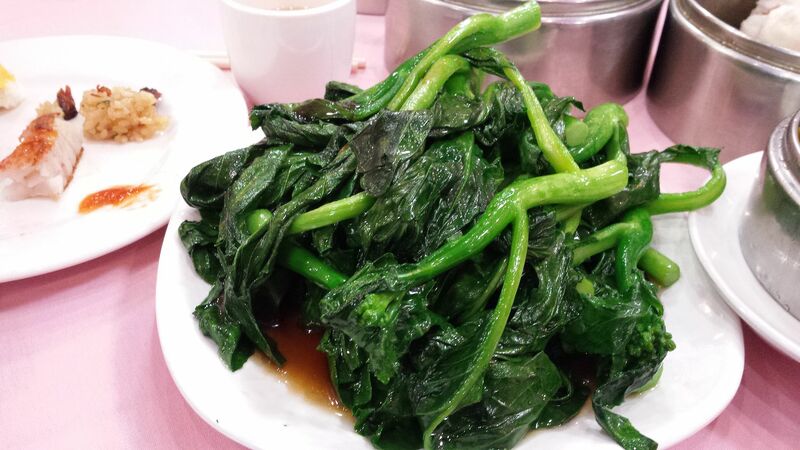 They are thinner in Hong Kong style soup and thicker in more Americanized soup. 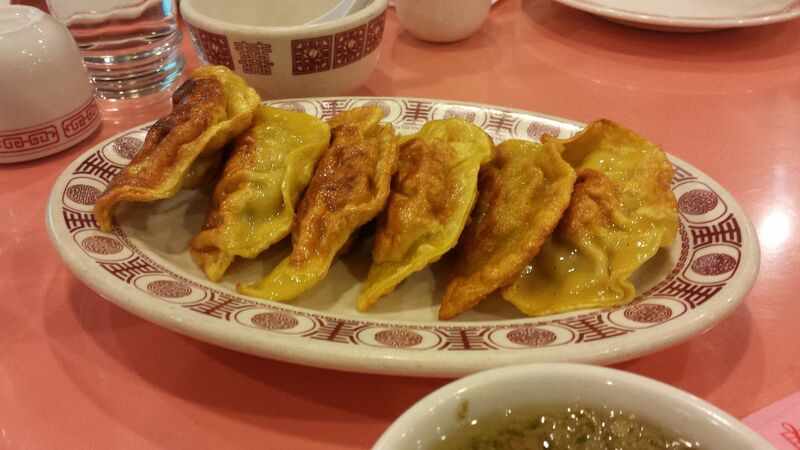 As the years go by, the thinner wontons seem to be more prevalent and the thicker ones less so. 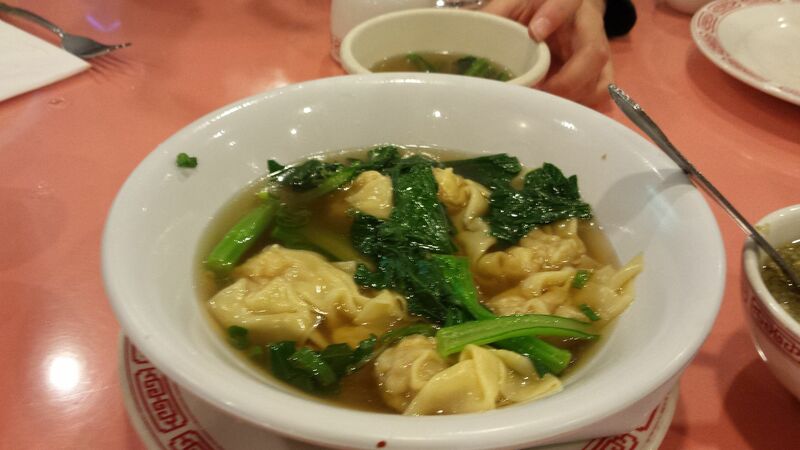 In the wonton soup I grew up on (the Americanized kind), there weren't greens added either. There were just a few scallions and a few thin strips of pork in addition to the wontons and broth (I don't know if David's puts greens in their regular wonton soup). Although many, if not most places offered a House Special or Wor Wonton Soup, which had extra vegetables and bigger pieces of pork, as well as chicken and shrimp. 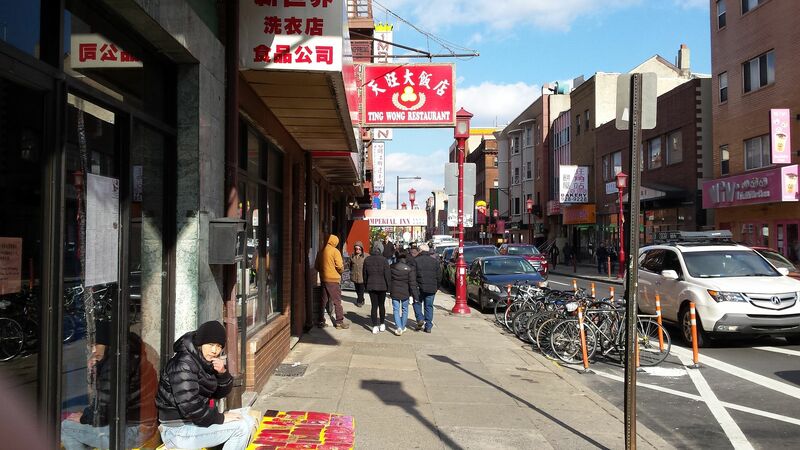 Philly's Chinatown has several restaurants that specialize in Hong Kong style noodle soups, with or without wontons or dumplings of some kind. 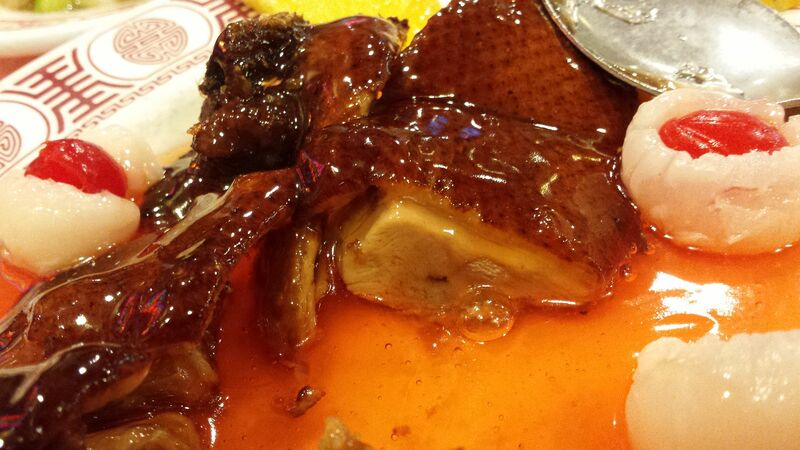 The most well known one, which is fairly old at this point, is Sang Kee Peking Duck House. I've eaten there many times. We actually tried to go there first after we were turned away from the Imperial Inn late Saturday, but they were getting close to closing too and were out of a lot of things. So we left and walked over to David's Mai Lai Wah (I was secretly happy about this because I really wanted to go to David's, but my friends preferred Sang Kee). Thanks. I love learning new stuff as an oldster. Sorry to hear that Imperial Inn is closing, even if it is only a shell of its former self, but glad you made it one last time. 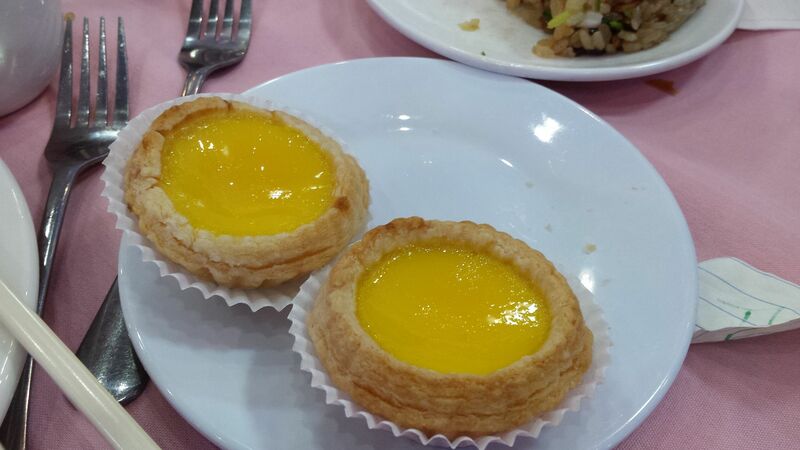 My wife is half-Chinese and loves a good dim sum. 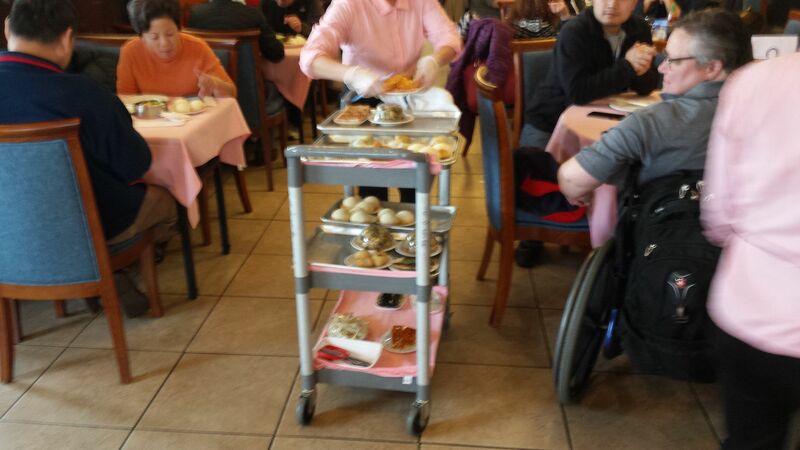 We may need to make that dim sum place a priority next time we are in town. Really enjoyed this...a trip down memory lane is always a good trip...add food memories , even better. Thanks so much for posting. I went back to David's Mai Lai Wah after work tonight with my wife. I'm really impressed that this place shows no signs of being in decline in spite of being so old. The Imperial Inn's decline started many years ago, although it accelerated more recently. While it's not quite as good as the pre-decline I.I., it reminds me so much of the food I used to eat on a nearly weekly basis in Chinatown at restaurants that were less fancy than the Imperial Inn. One called the Magic Fan was our favorite. The attitude of the waiters at David's is almost as enjoyable as the food. Our waiter, who has probably been there for decades, was a real screamer (not in a mean way; that's just the way he talks). At one point, a guy came in to pick up a takeout order. As a younger waiter approached to take care of him, the guy says Hi, and the waiter breaks into a mock South Philly Rocky-like accent on top of his Chinese accent: "Yo. How ya doin?" They went back and forth like that for a minute and then had a friendly conversation. I get the feeling they have a lot of regulars. I love seeing the duck sauce and mustard in large squeeze bottles like that. A lot of places give you a tiny amount in little bowls. I ordered a barbecued pork appetizer. 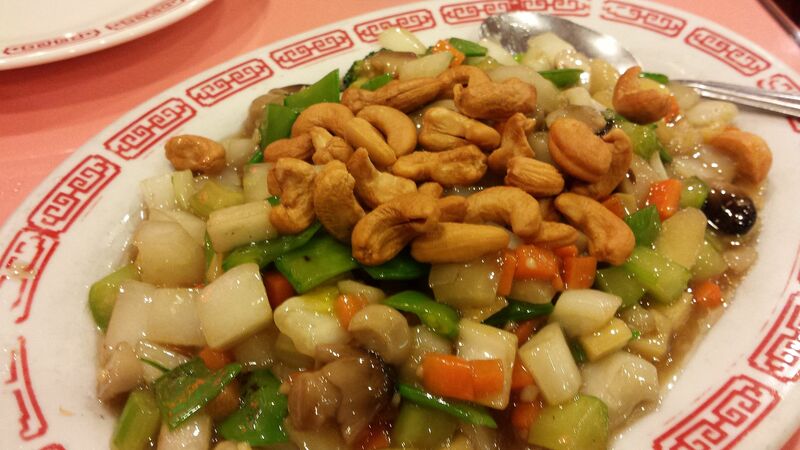 My wife - always a healthier eater than me - ordered vegetables with cashews. 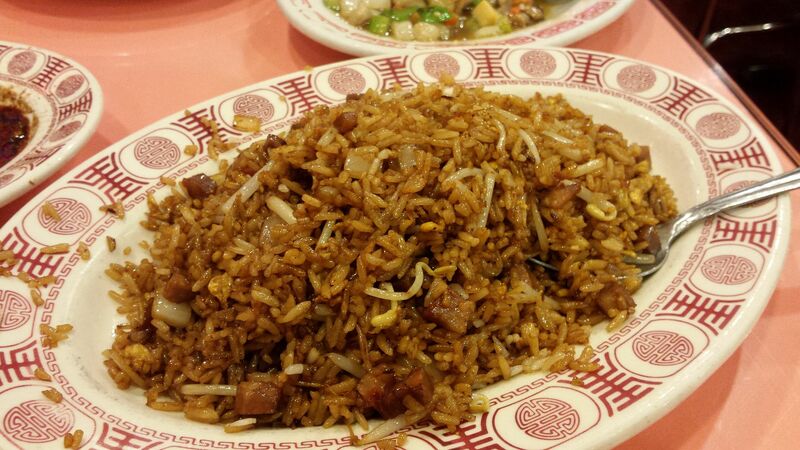 Notice our pork fried rice is a lot darker and looks more like fried rice that is typically served at American Chinese restaurants than the shrimp fried rice we had at the same restaurant Saturday night. I may have mentioned that my friend's wife did all of the ordering in Chinese or Mandarin Saturday. She must have told the waiter to have the kitchen make the fried rice more like it would be served in China, which means without all of the soy sauce that turns it darker. I, not surprisingly, prefer the Americanized style I've been eating my entire life. My entrée was lychee duck. 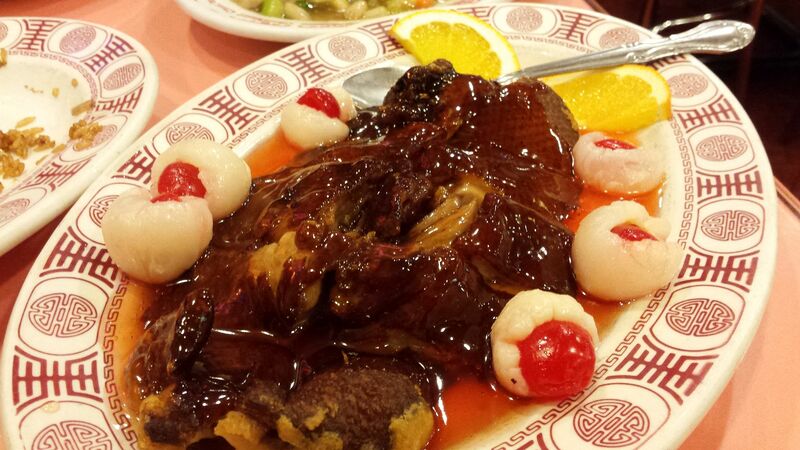 It's basically sweet and sour pieces of boneless duck with cherry-stuffed lychee nuts. My wife loves lychee nuts, so she had all of those. 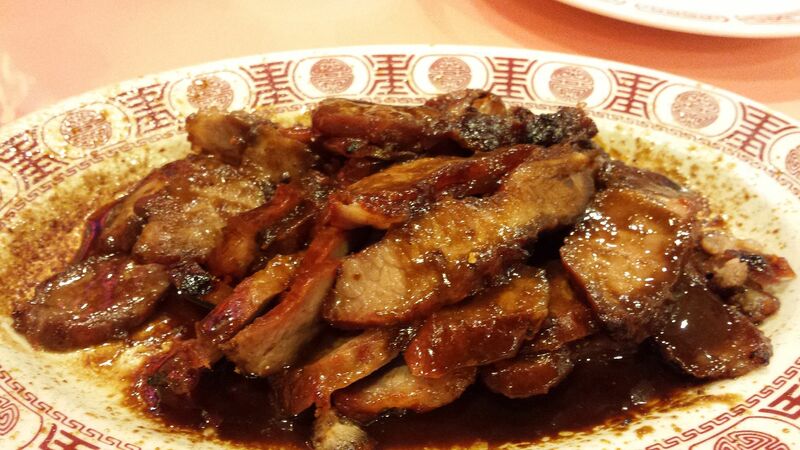 Lychee duck was a favorite of my father when I was a kid. I believe he would only order it when we'd go to the Imperial Inn for some kind of special occasion (I would bet that we had it the time we went there for dinner on Thanksgiving night in the late 70s). The last time I ordered it there, maybe a couple years ago with a takeout order, it was terrible. What I had tonight at David's was very good. While I enjoyed the dim sum at China Gourmet over the weekend, with my preference for old-fashioned Cantonese food, I'd say David's Mai Lai Wah is my new favorite Chinese restaurant in Philly. I could have been going there for years, but my sentimental attachment to the Imperial Inn got in the way. 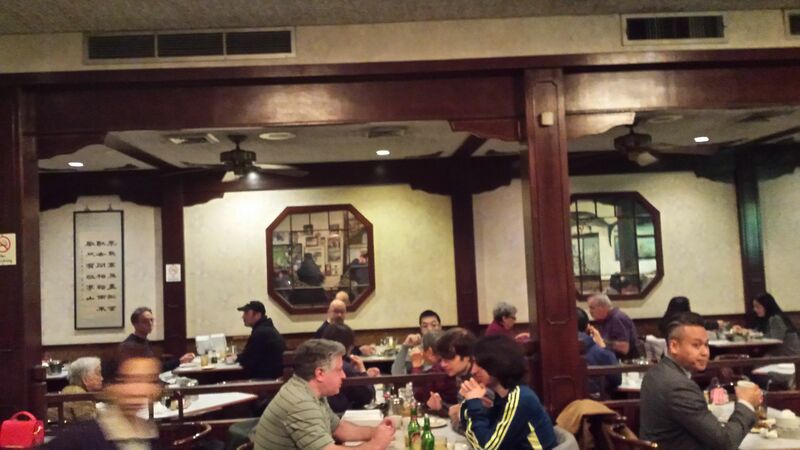 Oh … and I checked on what the deal is with the Imperial Inn having been "arguably" the oldest restaurant in Chinatown. It opened at its original spot in 1973. 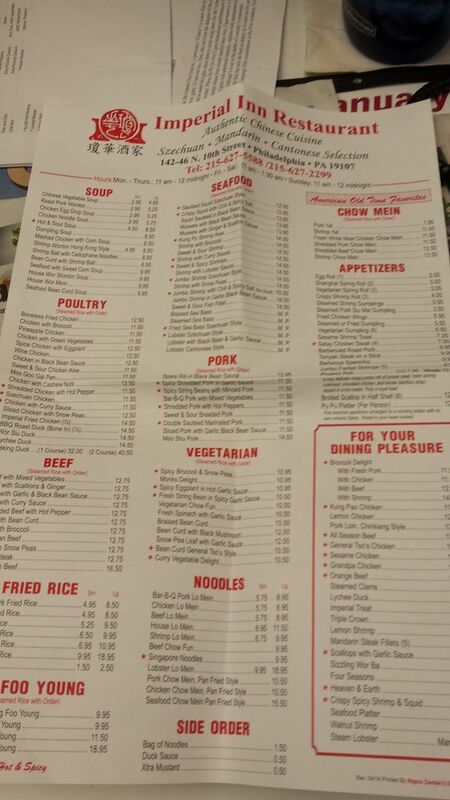 I would guess within a couple years of then, David's Mai Lai Wah opened. Within a couple years of David's opening, the Imperial Inn moved a half-block south. So the Imperial Inn was the oldest overall, but David's was the oldest in the same location and is now the oldest, period. 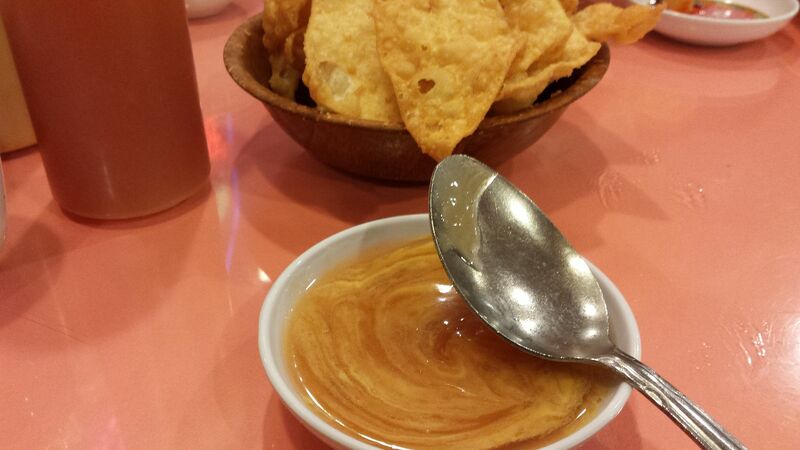 Love those squeeze bottles for hot mustard and sweet and sour sauce. At Dragon House, both were 'homemade' and delicious. When they closed for good, the owner gave us a bottle of each as keepsakes. No egg rolls at David's? I had one Saturday. It's shown in the initial post of this thread. 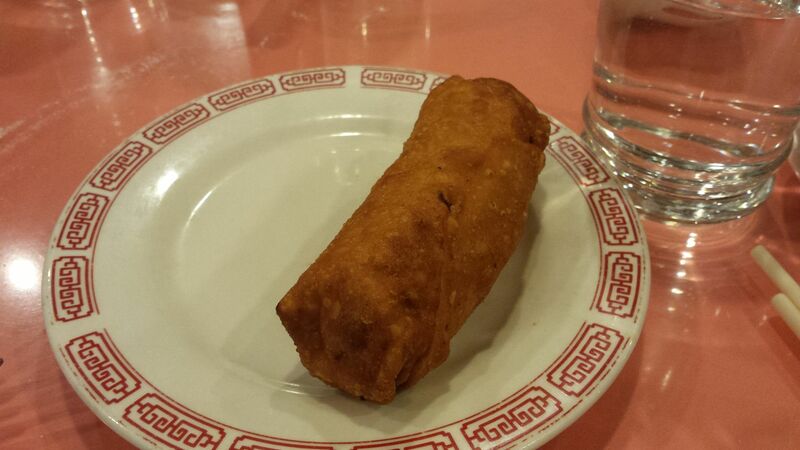 It's a shrimp egg roll. I tend to prefer pork egg rolls. The ones at David have a nice crust, but I thought the filling was just okay. It's more a matter of personal taste than there being anything wrong with it. I'm sure I'll get one there again in the future. It just won't be a must-order item every time like it was at the I.I. Just love all the food photos. 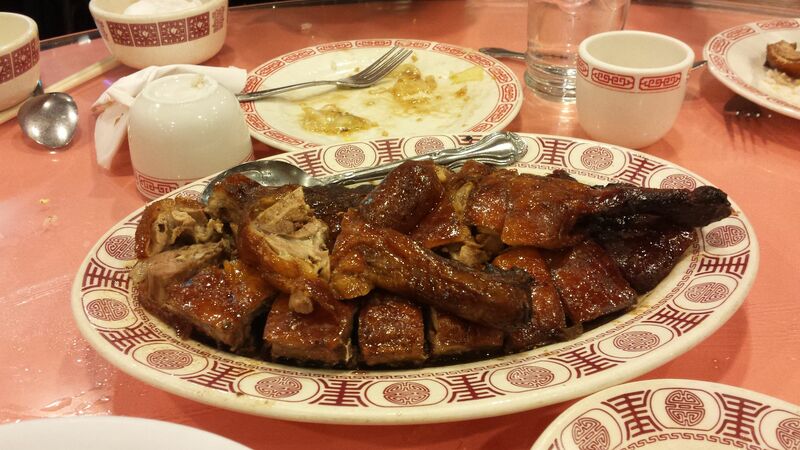 some of the things, like the Lychee duck. Had to find duck anywhere in the San Antonio area. Now we made fried rice at home. My mom or dad, whoever was cooking would add soy sauce, but not too much. It was never as dark as what you get in some chinese restaurants. By the way the fried rice at Panda express isn't real heavy on the soy sauce. I know, I know, it's a chain, but i prefer the rice not to be loaded with soy sauce. Roz and I spent a huge amount of time in Philly because our home office was in King of Prussia. We have enjoyed China Town and the Imperial Inn many times about ten years ago. Also Little Italy. One note about Little Caesars. I believe the company has changed as all the new buildings are small and appear totally automated. A new one just opened in Piney Flats TN which is north of Johnson City where Roz is assistant dean at ETSU. We have a residence there. We have bought their pizza several times. We would not have bought it if we did not like it and I have to say it was super delicious. I never had a Little Caesars before because they had shabby looking buildings that no one visited but their new image is drawing folks in. Also their pizza is now good.